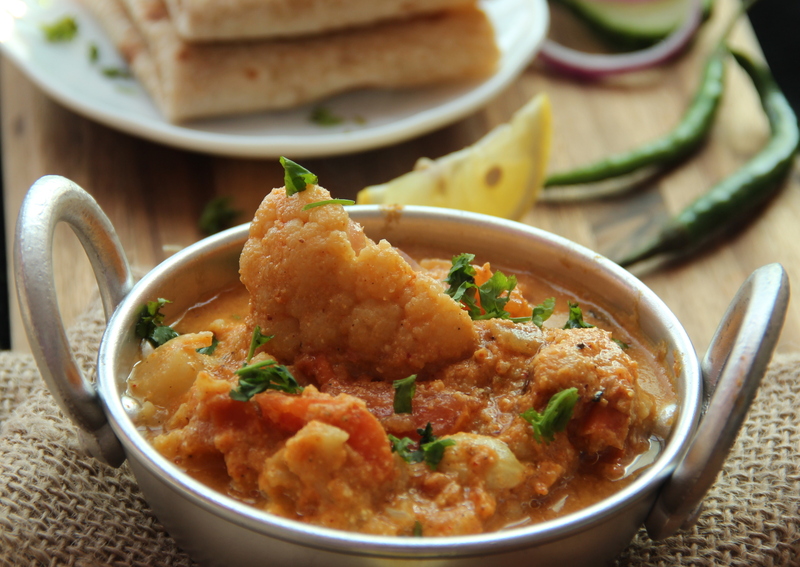 This delicious cauliflower tomato kurma is sumptuous, fragrant warm dish. This is mild seasoned with cauliflower, which is roasted until golden and crispy, and toothsome. This dish is not only low in fat, its also packed with nutritional goodness and satisfying flavours. Cauliflower non starchy vegetable is a calciferous like cabbage and broccoli. High intake of cruciferous vegetables is associated with a lower risk of some cancers. They contain vitamins, minerals, and phytonutrients, or plant nutrients, that may help neutralize damaging toxins. Place tomatoes in a food processor/blender and whizz to a smooth puree. Now place almonds, cinnamon, clove, fennel seeds, poppy seeds, garlic, red chillies and blend it to smooth paste and set aside. Heat oil in a pan add cumin seeds as it start to splutter, add the onions and saute till golden brown. Add cauliflower and saute for 4-5 minutes. Add chopped tomatoes, tomato puree, almond masala paste and continue to cook for 4-5 minutes. Looking at the consistency add 1/2cup water or as per the consistency desired and bring it to boil, then lower the heat and simmer until the gravy is thick enough as per liking. Juts for the creamy texture I used pureed tomatoes along with chopped tomatoes but you can used chop and use instead of puree. You can substitute almonds with cashews/coconut. Posted on March 23, 2015, in Indian, Side dish. Bookmark the permalink. 26 Comments. Yummy, I just love cauliflower and never thought to pair it with tomatoes. Thanks for the lovely idea! 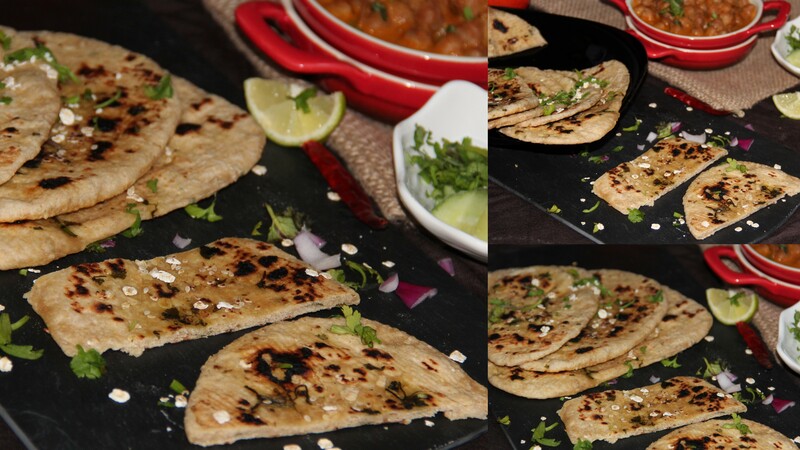 Perfect for roti’s and naan…Looks great Chitra!!! Wonderful recipe Chitra, I love cauliflower and this Kurma sounds delicious. Your photo is just beautiful also! !